Minding once more showed her class as she scored an effortless success in the Sea The Stars Pretty Polly Stakes at the Curragh and her trainer hinted that Goodwood will be the next stop. The Group 1 contest over 1m1f is not one in which O'Brien holds a particularly strong record. Back-to-back wins with Peeping Fawn and Stairway To Heaven arrived in 2007 and 2008 but it has since been a race dominated by two of England's finest trainers: the late Sir Henry Cecil and John Gosden. Midday carried the iconic silks of Khalid Abdullah to a hat-trick of wins from 2009 onwards for Cecil while Gosden then saddled The Fugue, Winsili and Sultanina to successive wins in the race. A year ago, Ireland gained its first win in seven years courtesy of the fantastic Legatissimo. The prospect of David Wachman's 1,000 Guineas heroine taking on her Newmarket successor on the Downs would surely have presented one of the races of the season but, alas, injury prevented Legatissimo from a four-year-old campaign this time around. O'Brien has mooted just such a campaign for Minding on foot of her outstanding Pretty Polly success at the Curragh. It took her record to three wins from four this season, with only the narrowest of defeats to Jet Setting in the Irish 1,000 Guineas causing a blemish on her record. Legatissimo was denied the Newmarket/Epsom Classic double last year in painful circumstances as rank outsider Qualify nailed her on the line in the Oaks before she went on to record a decisive Goodwood success. There was never any question of Minding being denied in the Oaks, despite the daughter of Galileo suffering significant interference on the descent round Tattenham Corner. She would dig herself out of that trouble in the manner of a class filly and she merely rubber-stamped that theory at the Curragh. 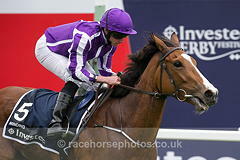 With O'Brien suggesting that Even Song is likely to be his leading contender for the Irish Oaks, the pathway is seemingly clear for Minding to head to Goodwood and she has booked herself a prominent position in the horse racing betting for the Nassau Stakes as a result. Having been sent off at odds of 1/5 on her latest start in Ireland, it would come as no shock should Minding be an odds-on chance for her Goodwood mission come race time. She appears to be taking her racing very well and was not unduly stretched last time out. Moore felt afterwards there was plenty more in the tank had it been required and it will require something out of the ordinary to stop her adding to the Group 1 haul at Goodwood come the end of July. While Legatissimo was not able to make it back for her repeat mission, the early words from O'Brien even suggest that Minding could be back in the groove next summer, with a decent chance of becoming the first horse since Midday to land successive renewals of the Nassau.